DAVIS, Calif. (September 5, 2018) – The U.S. Bicycling Hall of Fame will induct four legends of American cycling in ceremonies being held on November 10 in Davis, California. The honorees represent several disciplines within the sport of cycling. The inductees are Jennie Reed (Modern Road & Track Competitor), Eric Rupe (Off-Road Competitor), Jerry Ash (Veteran Road & Track Competitor), and Richard DeGarmo (Contributor to the Sport). With the Class of 2018, there are now a total of 158 Inductees in the U.S. Bicycling Hall of Fame. Jerry Ash – Veteran Road and Track: After winning his first six competitive races in the Los Angeles area as a novice in 1973, Jerry Ash went on to help establish the US as a world class sprinting power in both individual and tandem track sprint events. Ash had great success competing in the U.S. National Track Championships (1973-79) and the World Championships (1974-78) in Tandem Sprints, Match Sprints and the Kilometer Time Trial. Racing in the tandem sprints, Ash finished 2nd in 1978 in the Munich, Germany World Championships along with 2016 USBHOF Inductee Leigh Barczewski. Ash formerly held the U.S. National Kilometer Time Trial record with a time of 1:08.03. 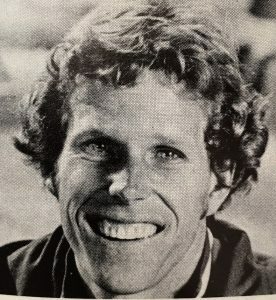 Jerry Ash was the 1976-77 Rider of the Year at the historic Trexlertown, Pennsylvania Velodrome and he also won the International Pro/Am 2-day Madison (with Knut Knudson) in T-Town in 1978. Jennie Reed – Modern Road and Track: Jennie began track cycling at the age of 16 in Redmond, Washington. She won National titles in the match sprint and individual pursuit at her first U.S. Track Cycling National Championship in 1994. She went on to compete in the sprint disciplines at the 2004 and 2008 Olympics and the Team Pursuit in 2012. Jennie competed in 13 World Championships, 11 consecutively. She won 25 World Cup medals between the Sprint events (Sprint & Keirin) as well as the endurance events (Scratch & Team Pursuit). 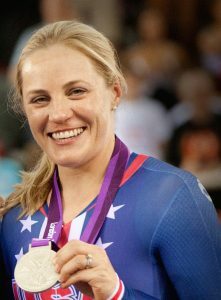 Jennie is the only U.S. track cyclist to successfully transition from a sprint athlete, winning the World Championships in the Keirin to an endurance track athlete, winning a Silver Medal in the Team Pursuit at the 2012 Olympics. Eric Rupe – Off-Road: Nicknamed “Big Daddy”, Rupe competed continuously at the highest level as a BMX off-road racer for over 40 years. He turned professional in 1977 when he was 14 years old and won his first pro race in 1980. In 2011 he reclassified to the Amateur Senior level in his late 40’s and competed well into his 50’s winning multiple national age group No.1 titles. 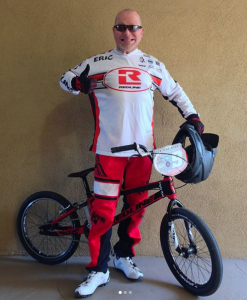 In 2009 he won the USA Cycling BMX National Championship in the 45 & over Cruiser Class as an amateur. He has won multiple BMX national championship and No. 1 titles sanctioned by the National Bicycle League (NBL), American Bicycle Association (ABA) and the United States Bicycle Association (USBA). He also competed in many World Championship events both as a Pro and as an Amateur. For years, Rupe crisscrossed the country as a racer and team manager for Mongoose and then GT Bicycles putting on BMX Clinics and training camps. In 1988 Rupe was inducted into the ABA BMX Hall of Fame. Richard DeGarmo – Contributor: DeGarmo served as President of the US Cycling Federation (USCF) from 1987 to 1993. 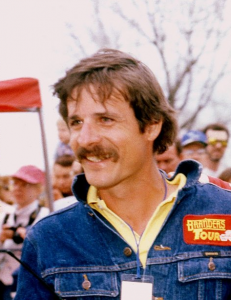 USCF was the precursor to today’s USA Cycling which is the umbrella organization for National and Olympic cycling competition in the U.S. As a member of the USCF Board from 1981 to 1994 he also helped bring BMX racing into the Federation. DeGarmo served as a member of the International Cycling Union (UCI) in various positions for 15 years and was the first USA member elected to the UCI management committee from 1992-1996. DeGarmo’s Texas Bicycles Promotions produced bicycle races and events throughout Texas and beyond from 1981-1993. He was the organizer of the Tour of Texas International Bicycle Race from 1981 to 1990. Richard was the Road Coordinator 1986 World Cycling Championships in Colorado and the Director of the 1987 Pan Am Games cycling trials. DeGarmo was instrumental in getting Mountain Bike Racing included for the first time in the 1996 Atlanta Olympics and he sponsored or organized some of the top Texas men’s and women’s cycling teams from 1979-2003.